For over forty years, we have guaranteed our customers the lowest prices and the best customer service. We guarantee that you will not find the identical merchandise from one of our local competitors for a cheaper price. If you do, we will not only match that price, we will give you 10% of the difference. That's the 110% Price Match Guarantee. 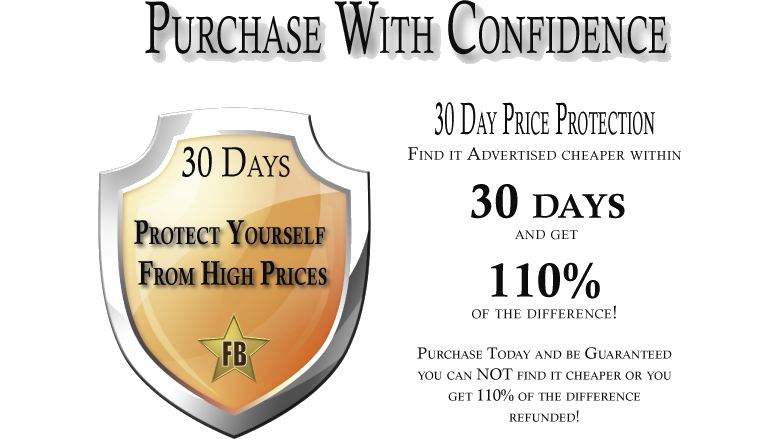 Feel confident when you purchase from Furniture Barn that you will get the best prices and service around! Price match valid within 30 days of pick up or delivery of merchandise.